Snipaste will always be FREE for personal use. Snipaste 1.x is also free for business use. However, starting from Snipaste 2.0, you would need to buy a license in order to use it at work. 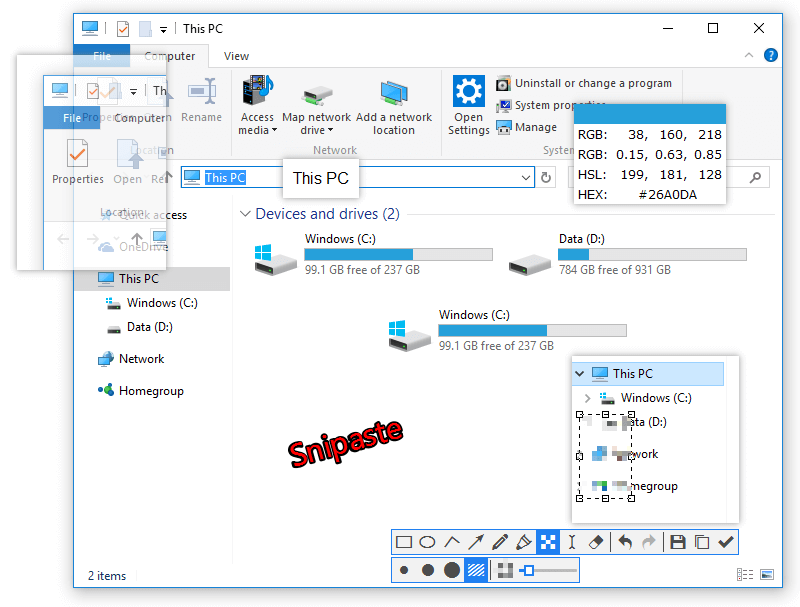 Snipaste is a simple but powerful snipping tool, and also allows you to pin the screenshot back onto the screen. 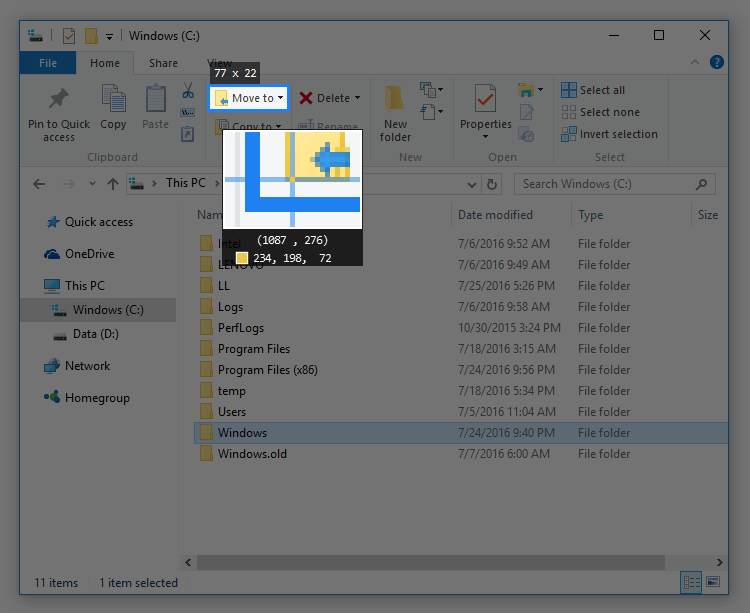 Download and start the application, press F1 to start snipping, then press F3 to paste it as a floating window. That's it! 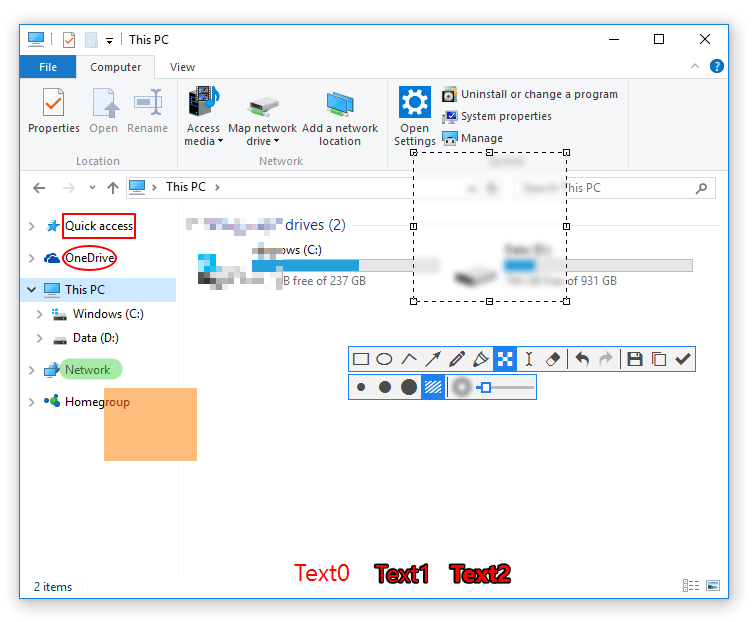 You can also convert text or color info in the clipboard into a floating image window. Such windows can be zoomed, rotated, flipped, made translucent, and even made click-through! If you are a programmer, a designer or whoever works much time before the computer, you will be surprised how it can help you get your work done more efficiently! 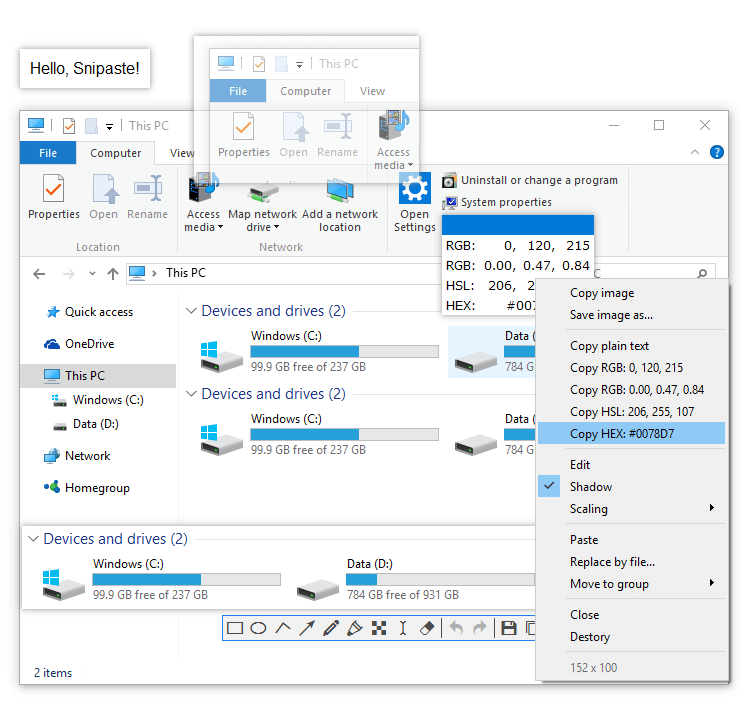 Snipaste is easy and intuitive to use, but there are also many hidden features that can make your life even more efficient. Read the manual if you are interested. Want more options? Just tell me! Found bugs, or have suggestions / feature requests? Please file an issue. Join our Telegram Group to discuss with other users. Want to know first-hand news about Snipaste? Please subscribe to our Telegram Channel, or follow us on Twitter. © 2016-2019 Snipaste. All rights reserved.